If you really concern about online security and started using Cloud services provided by big companies like Google, Microsoft, Apple, and others social media services too. Have you thought about using a Two-Factor authentication to provide another layer of security after entering your username and password? Missed to read these articles? In this article, we are using Google Two Factor Authentication to configure my Google Apps for added security. Just in case you don't know, Google Apps is a vanity email version of Gmail. In my case I bought my own domain name KING.NET and use Gmail as my backend service so I don't have to worry the email management, the server, security update, and other email administrative tasks. Yes, Google Apps is a good example of Cloud services. Your Gmail email address and password. This is your first authentication method. In Security, click 2-Step verification to activate. I already completed a similar HOWTO, here's the link to complete. For updated information, visit this site. 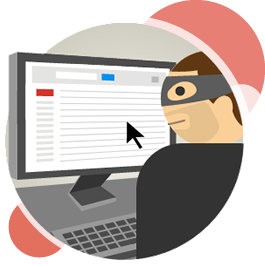 The two factor authentication can keep bad guys out, even they have your username and password. I hope this help you. Like us or tweet this article. Entrepreneur - Starting your own Business.